In late July of last year, the team that had traveled to Liberia months before were having dinner with some of our Liberian friends who had flown in for a conference. I couldn’t make dinner because it was the first time Tin Roof Runners were running and I had committed to that before I knew about dinner. I was sad I wouldn’t be able to see our Liberian friends, after the run they were still at dinner at a restaurant close by so I decided even though I wasn’t dressed for it I would stop in and see them. It was great to see them even if only for a few minutes and get updates on how everyone was doing. As I was getting ready to leave our team leader, Dr. Sampson, asked if I would be interested in helping get a 5k together to raise funds for our next trip and to assist in the Ebola outbreak in Western Africa. I told him sure and to give me a call to discuss it. We didn’t discuss the 5k again until late fall, sometime in November. Once we did, we talked about what would make a good 5k, a list of things we needed to do, and where a good place for a course would be. I recommended somewhere that we would not need to shut the roads down. Since this was the first year of the race, Dr. Sampson and I were pretty much funding the start up cost ourselves we wanted to keep cost down. 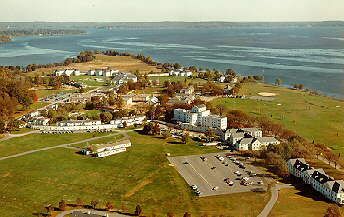 Dr. Sampson suggested Perry Point VA Property in Havre de Grace, MD. We went out and looked at the property, it was pretty flat, right on the water, and no major traffic on the property. We both agreed that it would be a good site. In December we met, to develop a more detailed list of things we needed to do; start to look for sponsors, race insurance, advertising, confirm we could use the property, the date, shirts, medical on site, volunteers, and a few other things. At this meeting Dr. Sampson asked me if I wanted to be the project lead (race director) and I happily accepted. We started to compile a list of volunteers and who would be the point person for them, we started to list business to ask for sponsorships, digital timing companies, and then we needed a name and logo. 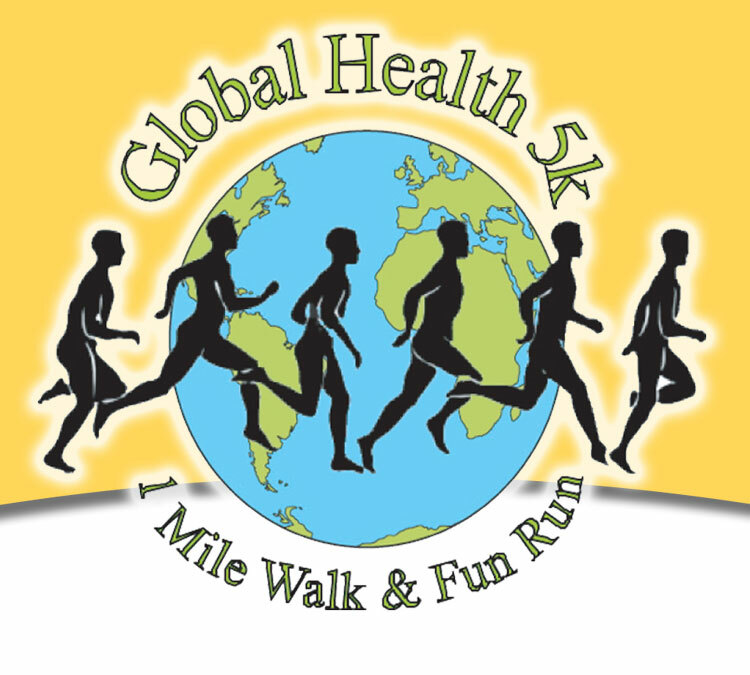 We talked about several different names for a a while and after about 30 minutes we settled on Global Health 5k and Fun Run! We thought it fit our message perfectly, our goal is to affect global health and in the future we want to expand the race to around the World. We also checked the race schedule on a few websites for the upcoming year and picked our date, April 18th, 2015 With that we wrapped up the meeting and we had our marching orders. I designed the logo, Dr. Sampson had it cleaned up and rendered. Over the next few weeks Dr. Sampson began to round up volunteers from the hospital and other organizations he was a member of. I worked on a logo and called around to digital timing companies. Once we had our logo, I began to build our website. Dr. Sampson was able to secure the Rotary as a Title Sponsor and they would provide the insurance for the race, we were really making progress. One area I was having difficulty with was finding a digital timer, all of them were booked. I asked a friend Paul, who has organized several local races, if he could recommend anyone and he had a guy he thought I should meet with. I emailed the person he recommended and set up a meeting to discuss the race and where we were at. When I met with him in January, he said we did a lot but was concerned we did not have enough time left for a successful event. He gave me a timing company we could use for a good price but did not do digital timing. I left the meeting feeling a bit worried. Dr. Sampson and I talked it over and we had the same thought, what if we bought the digital timing equipment and set up a separate company ourselves and did digital timing on the side. I looked around at several different product lines and even attended a 3-hour webinar to get more information. After all that it was not financial feasible to purchase the base level equipment and be able to recoup our money within the first year, we estimated it could take over 3 years to make our money back. We stayed out of the digital timing business and ultimately decided to have the race without digital timing and hired the timing company that was suggested RASAC Harford County Running Club. As the race got closer, more sponsors were coming in, I had gotten permission from the director at Perry Point VA to use the property, we laid out the course on google maps. Then we realized the date we picked for the race was the same day as Sole of the City in Baltimore. It was February now and we had been advertising for a few weeks, it was to late to change the date. That would explain why we hadn’t had that many runners sign up. 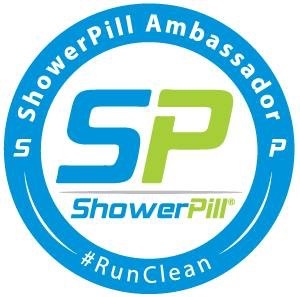 I told Paul about it and he said that is just the way it works most of the runners will sign up in the last 2-3 weeks. That was a scary thought! For our first year our goal was to have 200 participants, we currently had 10. In mid-March the sponsors were really starting to coming through, I thought this would be a good time to start doing some more social media advertising. I started running more paid ads on facebook and through active.com. 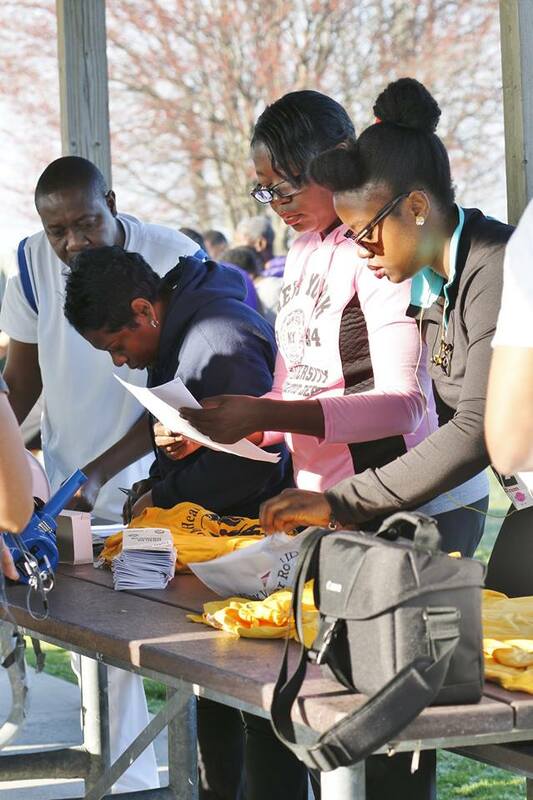 Slowly but surely runners started signing up! I was starting to feel better about the race. April had arrived, only a few weeks till race day. Dr. Sampson and I were feeling good about where we were at with the number of runners but knew the next few weeks would be hectic. 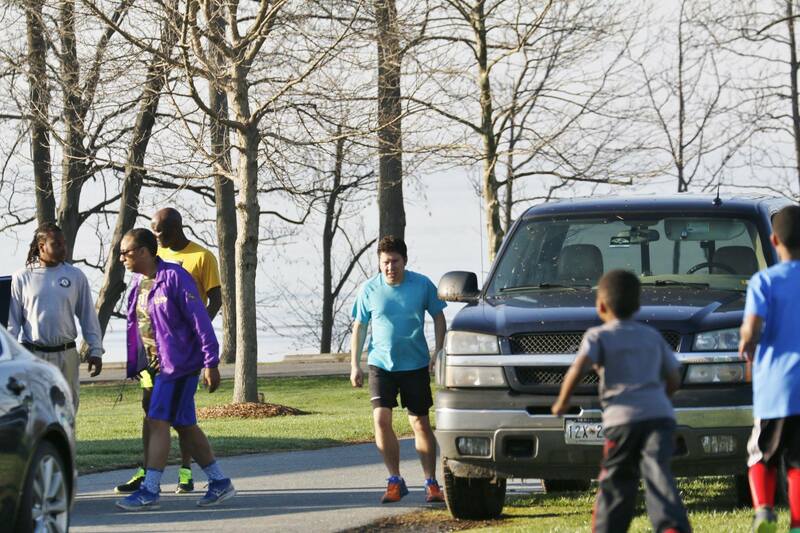 We met at the Perry Point VA on a Saturday morning to run the course and make sure we planned out a good route. It had been a harsh winter and though I ran everyday we waiting to run the course. It was a good thing we did, we actually had to modify the route. On the google map it showed a road that was no longer there. It actually worked out for the best, with the modification runners would run along the water and have a better view for a longer portion of the race. 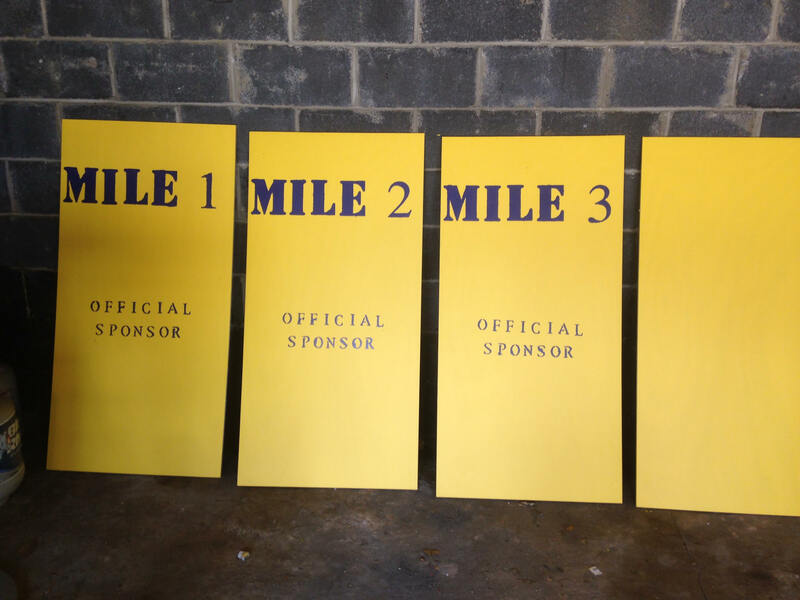 We needed mileage markers as well, I had been thinking of things we could use and put a sign on to note the mile and the sponsor for the mile. I couldn’t find anything that looked good, so I decided to build the mileage markers myself. I went to Home Depot, bought wood, hinges, and paint and went to work. Total it took me 3-4 days working on and off to finish the mileage markers. The week before the race was super hectic, I had to finalize the shirt design make sure all of our sponsors were included. Sponsors were asked to provide a high-res logo when the signed on, since I’m not a graphics person I didn’t realized some of them were not. After scrambling Dr. Sampson and I were able to get all of the logos in high-res and I had to have our logo redesigned to meet the same standard. Just as Paul said more runners were starting to sign up, which I liked seeing more sign up everyday. 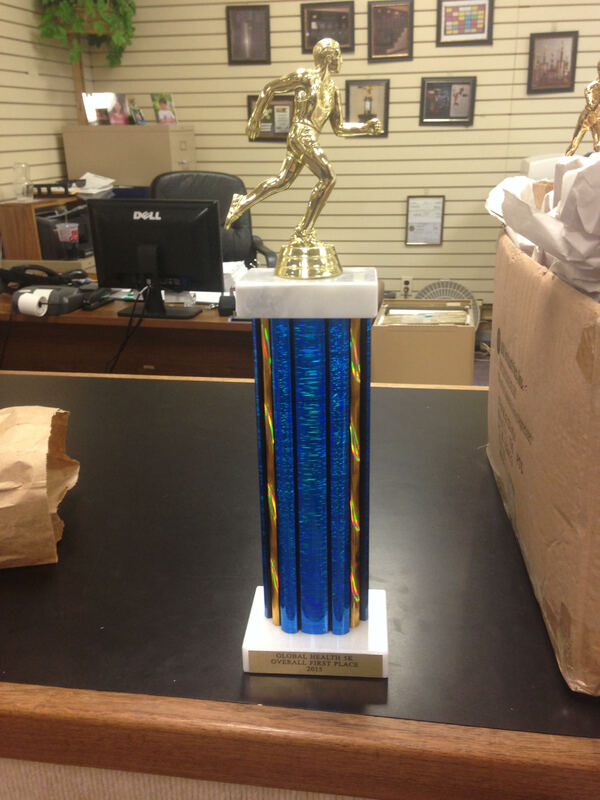 Once I had the shirts sorted out, I ordered our trophies for the race. The winners would get a trophy and gift card provided by Road ID, who also provided the bibs. I would recommend Road ID as a sponsor! Two days before race I went to Sam’s Club and purchased water and refreshments for on the course and at the finish line. The night before we had packet pick up, which went pretty smoothly. I was up at 0500 to drive to Havre de Grace and make sure everything was good to go. Security would be opening the gates at 0600, Dr. Sampson was calling me by 0530 to ask why the gates weren’t open. By the time I arrived around 0550 Dr. Sampson had found security and had them open the gates even earlier. At the start line we set up registration, and then the phone calls started coming in of people who were lost. On the website, I guess it was not clear enough where the start point was. In generally talking with the runners we said Perry Point VA hospital, the actual start line address was on the Perry Point Park side of the property. Dr. Sampson and I fielded calls like that all morning, including from our timing company. The race started at 0800 and it was 0700 and I hadn’t set the mileage makers out yet. I went to do that, one part of the course I needed to drive into a field to place the marker on the other side of the road. The field was pretty muddy, but I wasn’t worried since I have a 4-wheel drive truck…I got stuck. I started to panic. Even in 4-low the truck kept spinning wheels, at the same time my phone was ringing with people trying to find the start line. I was really starting to freak out. I gave directions again, took a few deep breaths and got my truck rocking back and fourth and finally got it free! I was so relieved. After I set up the course and made it back to registration, everyone asked why my truck was covered in mud, I simply replied “Don’t ask”. This pic doesn’t really show how covered my truck was. There were a few hiccups at the registration table of people who did not realize you could only pay cash if you registered on race day, though it was clear on the website. I was able to go into active.com and open registration again and we got it resolved. Earlier Dr. Sampson had suggested I run the race as well, I hadn’t planned on it, but I did since he suggested it. After getting everyone checked, explaining the 5k course and the Fun Walk route we got the race underway at about 0810. I finished in overall 6th place and immediately made my way back to registration table to make sure everything was good to go for the finishers. What I didn’t realize was some of the water that was meant for the finish line was taken to the water stop on the course. That caused a bit of a backup as people finished but we got it under control. Even though there were a few problems on race days, we learned some good lessons for when we do it again next year! Both runners and walkers commented on how nice the course was and really enjoyed the water view. We again thanked everyone for the participation, recognized the sponsors, and held our awards ceremony. 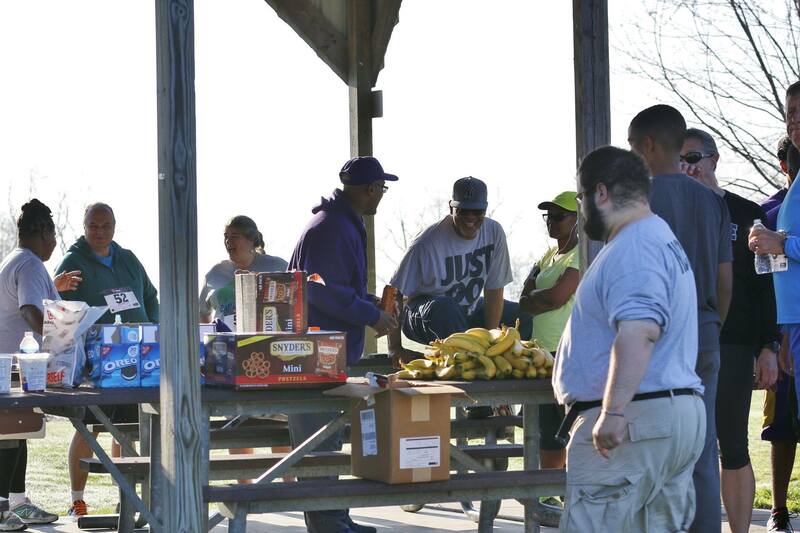 By 1015 everything was wrapped up and the first Global Health 5k and Fun Run was in the books. It was stressful at times but well worth it, knowing that the money we raised would be going to help out those affected by Ebola in Liberia and Western Africa. Between runners and walkers our final count was 180, we were pretty happy with that. Look for more information in the coming weeks on how you can participate next year! 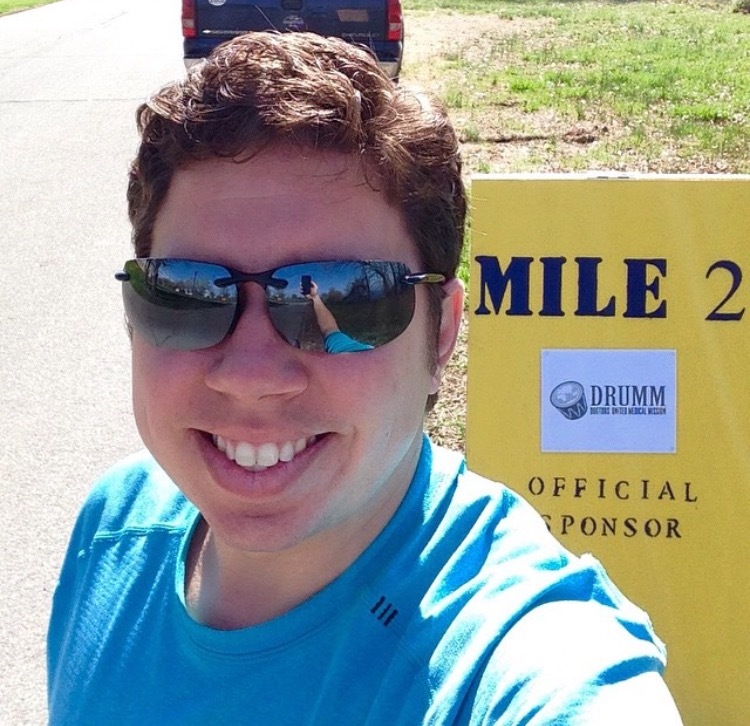 Have you been a race director before? How do you handle stress on race day, as a runner or organizer?